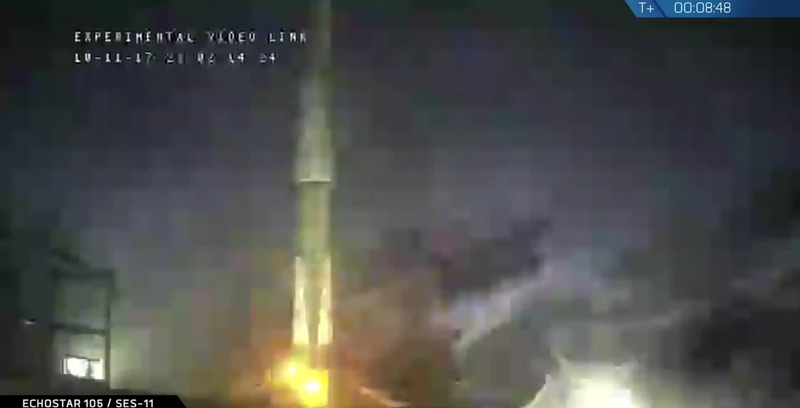 SpaceX successfully launched a Falcon 9 today, its 15th rocket launch of this year. The rocket took off from Kennedy Space Center in Florida, carrying a satellite with a dual-purpose mission for both EchoStar and SES. The rocket used on this flight included a first stage that was previously flown for a Space Station resupply mission in February, and then recovered and refurbished by SpaceX. SpaceX also managed to recover the first stage yet again, meaning it could have a third try to fly the used Falcon 9, provided everything’s in good condition. The landing took place in the Atlantic Ocean, aboard the SpaceX drone ship ‘Of Course I Still Love You.’ This is the 18th successful landing of a Falcon 9 first stage for SpaceX. This is the second launch this week for SpaceX, after it competed its Iridium-3 mission on Monday morning. Eventually, SpaceX hopes to not only increase the pace at which it can launch, but also turn around rockets for reuse within 24 hours, so the more in can launch multiple rockets in the same week, the better for its long-term plan. About half an hour after take-off, the SpaceX Falcon 9 second stage successfully deployed its payload to its target orbit, making the mission a success for SpaceX overall.